The National Institutes of Standards in Technology (NIST) dates back to 1901. The United States Congress originally founded NIST as means to combat and issue with competition in the US during that time. Back in the day, the infrastructure in the USA was very poor and lacked the strength of countries such as Germany and the United Kingdom (UK). 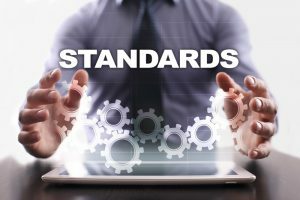 Today, NIST plays in role in setting the standard for numerous technological products and services from the smart electric power grid to computer chips to electronic health records, these are only three of the things that use the measurement and standards of NIST in their creation. Government: under the guidelines of the National Technology Transfer and Advancement Act (NTTAA), government agencies develop uniform rules and standards in order to avoid a unique set of government standards. The public: modern consumers expect the products they purchase to be safe, efficient, functional and durable. Using NIST standards, the United States, and their international trading partners have a set of standards a product must meet prior to import. Proof of meeting NIST standard can often be found on product packaging. Cybersecurity is a critical and crucial field for the United States and the world as a whole and is expected to keep growing.